Sri Lanka’s tourism sector has many benefits. It is the country’s third largest foreign exchange earner and contributes a substantial percentage towards the Gross Domestic Product (GDP). In post-war Sri Lanka, tourist arrivals have seen a tremendous increase and there is a significant increase in investments in tourism as well as, infrastructure development, through opening up of new tourist attractions and channeling of funds for promotional campaigns. 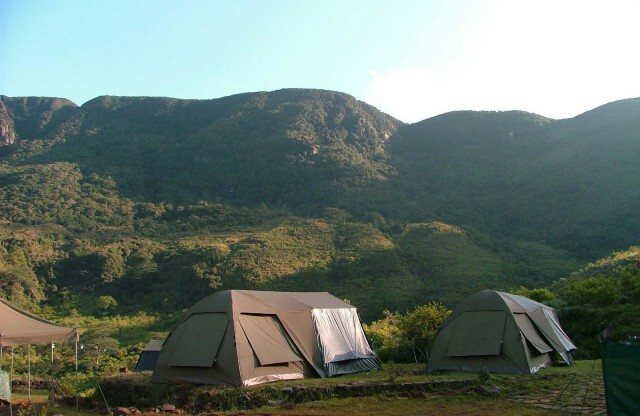 Concurrently, eco-tourism as well as cultural and nature tourism have also increased in popularity due to the policy decisions and legal coverage of Tourism Act No. 38 of 2005, which has provided several features such as identifying tourist development areas with historical or environmental interest, identifying areas for trekking and nature trails, etc. 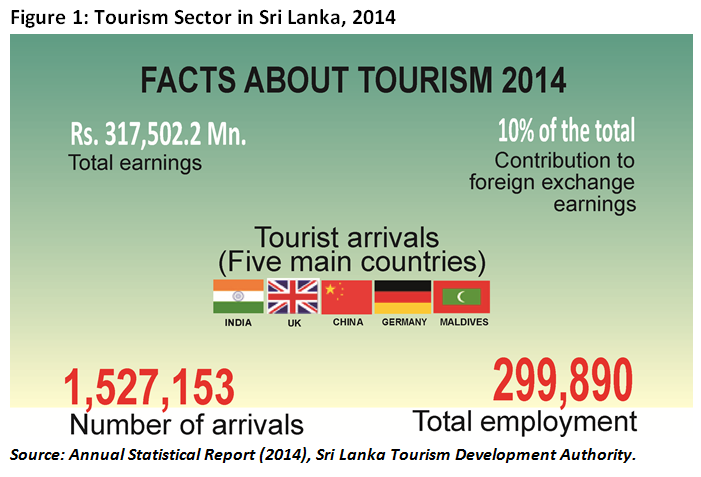 Figure 1 describes the importance of the tourism sector in the Sri Lankan economy. There are different types of tourism and ecotourism is a sub-set of tourism. The Mexican environmentalist and architect, Hector Ceballos-Lascurain first introduced the concept of ecotourism in 1983. The International Ecotourism Society (TIES) defines ecotourism as “Responsible travel to natural areas that conserves the environment, sustains the well-being of the local people, and involves interpretation and education of both staff and guests”. According to TIES, ecotourism in 2004 grew three times faster than overall tourism. Nearly 90% of the British tourists recognize active protection of the environment and support of local communities to be part of hotel responsibilities when selecting holidays, whilst in Germany, nearly 42% of travellers prefer environmental-friendly accommodation. Furthermore, nearly 53% of American travellers prefer to experience local customs and culture of the country they visit. 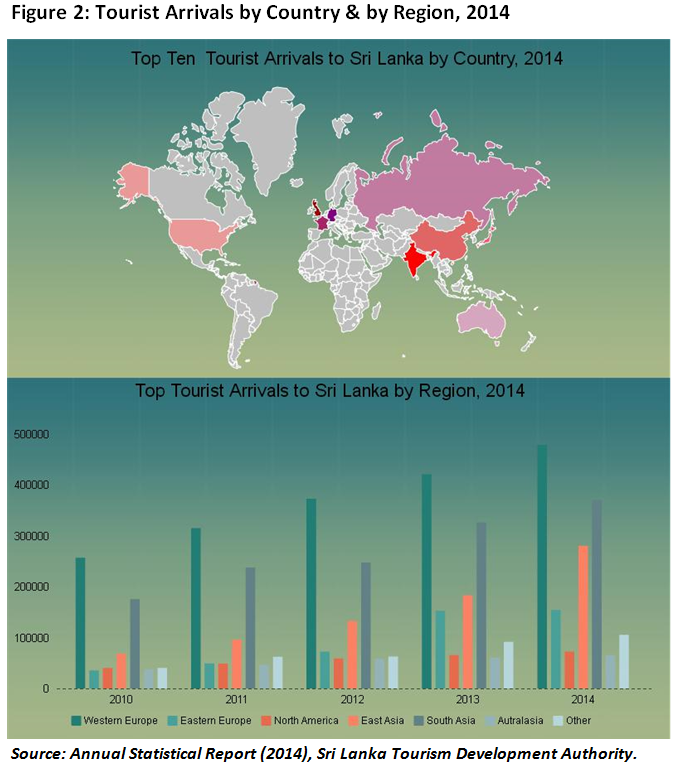 A higher number of tourist arrivals in Sri Lanka are from Western Europe (nearly 31%). Further, the top ten sources of tourist arrivals are from the countries that show the highest demand for ecotourism in the world (Figure 2). Moreover, nearly, 68% of foreign visits are for leisure or holiday, followed by other reasons such as visiting relatives and friends. Thus, there is a greater potential to develop ecotourism in the country. Given Sri Lanka’s rich biodiversity, culture, and natural beauty, the country has great potential to develop eco-tourism compared to many other tourists’ destinations in the world. The country’s rich repository of natural resources adds to ecosystem diversity. Sri Lanka is also considered among the top 24-biodiversity hotspots in the world, which provides several avenues to enhance ecotourism in the country. IPRs can be used as a tool to support tourism development through the creation and protection of ideas, knowledge, and innovations in the sector. The main IPRs in the tourism sector are trademarks, geographical indications, industrial designs, patents, copyrights, and trade secrets. ‘Trademarks’ are essential in the service sector to distinguish one enterprise from another. Examples include St.Moritz, Tri–valley California, love NY. Moreover, the most common marketing term used in the tourism sector around the world is “Destination Branding”. Further, destination branding embodies many intellectual property rights, mainly trademarks. For an example, New Zealand’s destination branding “100 Percent Pure New Zealand” is a success story and it has helped to increase the number of tourist’s visits into the country. Geographical Indication (GI) is also important especially for ecotourism, where a particular ecotourism sector or a sub-sector such as birding tourism, culture tourism, or forest tourism can be further developed by protecting GIs. For example, GI registration of Turkish handicrafts has improved the production of handcrafts in Turkey. Moreover, developing countries could use GIs to promote their “indigenous products” in the international market. However, the biological resources and farmers’ traditional knowledge and skills have not been registered or documented in most developing countries including Sri Lanka. With globalization, biodiversity and traditional knowledge, skills, and technologies possessed by the local farmers in developing their crop varieties are at stake. Thus, implementing a proper protection system will lead to enhancing the tourism sector especially, ecotourism, which also includes agro-tourism and health tourism. Traditional knowledge of village people is also important for ecotourism. For example, British Columbia has identified Aboriginal culture as a tourism attraction after Aborigines shared their traditional knowledge with tourists. Prior to the introduction of Aborigine culture tourism, the authorities made arrangements to preserve their traditional knowledge. In Sri Lanka, a majority of villagers use traditional knowledge for health and agriculture purposes. Ecotourism includes tours of local farms to take a first-hand look at the growing, traditional methods of crop protection, astrological practices in the field, attracting support from spirits and gods for cultivation, harvesting, and processing of locally grown food as well as sampling them on site or in local restaurants and cafes. There are also lectures and other learning opportunities for the tourists who also have the possibility of staying at one of the farms to absorb the experience. Copyrights are also used to protect promotional material. Thus, protecting IPRs and taking measures to strengthen them will provide an incentive to private and government investors to promote tourism in the country. Presently, Sri Lanka does not have an established IPR protection mechanism for the tourism sector. Countries such as New Zealand, Switzerland, and Hong Kong have implemented several types of IPRs to promote their tourism industry. In 2016, Sri Lanka tourism has identified tourism branding plan as one of its main strategies. Sri Lanka has used several taglines such as ‘Paradise Island’, ‘Land like no other’ and presently, ‘Sri Lanka: Wonder of Asia’ in branding. However, it is questionable whether the branding and rebranding have been placed correctly when compared to countries like Singapore (Uniquely Singapore & Your Singapore), India (Incredible India), and Malaysia (Truly Asia), etc. For example, have enough wonders been identified in the country to promote under the brand ‘Sri Lanka: Wonder of Asia’? What changes were made in what is offered to tourists when moving from the tagline ‘Paradise Island’ to ‘Land like no other’? Sri Lanka has made a request to the Committee on Development and Intellectual Property (CDIP) projects of the World Intellectual Property Rights Organization (WIPO) to implement IPRs in the tourism sector in the near future. The Intellectual Property Rights Act No: 36 of 2003 covers the IPRs in Sri Lanka. Currently, very few hotels and restaurants use trademarks to promote their businesses. However, on most occasions, only large-scale hotels are concerned about registering their trademarks or industrial designs. Thus, IPRs are not commonly used in the country’s tourism field. Despite the country’s rich cultural heritage and biodiversity, the tourism sector has yet not reaped the benefits of IPRs, especially the benefits that the sector can gain from promoting brands, establishing GIs, etc. There are several activities relating to ecotourism, which could be strengthened through strong IPRs. For example, there are several locations, which can be developed as ecotourism destinations by introducing GIs (tours in tea estates/cinnamon estates/ paddy fields, etc.). Branding Sri Lanka as a tourism destination should be carefully carried out considering its competitive strength, strategic position, and competitors. Rebranding should not just be a change in the slogan but be accompanied with variations that are offered to tourists. As a developing country, Sri Lanka should take advantage of the arrangements provided by the Trade Related Intellectual Property Rights (TRIPs) Agreement of the WTO and provide protection via geographical indication, sui generis system, and folklore to enhance the tourism sector; by prioritizing ecotourism, which has proved to be a booming industry in the economy. It is clear that the country should have a well-established national policy on tourism focusing on ecotourism as it is identified as one of the main subsets of the tourism sector. The country lacks a well-built protection system for tourism, including ecotourism; this may lead to exploitation by outsiders when natural resources are open for sightseeing and exploration. Therefore, when promoting tourism, it is important to identify and devise ways and means to strengthen customary laws for the protection of traditional knowledge and natural resources of the community from exploitation by outsiders. Further, it is essential to increase public awareness on the subject, and keep them updated, as they are an entity that has a voice and the power to influence the government. As SMEs in the hotel sector is expanding and the number of unclassified hotels are increasing, it is vital to provide knowledge on the values of the culture and traditional knowledge amongst the general public and the importance of safeguarding the country’s resources. In addition, it is important to have a separate unit or a committee at the Intellectual Property Office or at the Sri Lanka Tourism Development Board to promote and monitor tourism sector related IPRs and to provide financial and other advisory support to investors and people who are engaged in this area of the tourism sector. Further, it is of utmost importance to provide necessary inputs to WIPO, CDIP with the aim of implementing necessary IPRs in the tourism sector in Sri Lanka. Pay as You Throw! A Solution to Sri Lanka’s Mounting Garbage Issue? Dilani Hirimuthugodage is a Research Officer working in the Agriculture Economic Policy unit at the IPS. Her research interests include agriculture economics, intellectual property rights, food security and innovations in the agriculture sector especially on Genetically Modified Organisms (GMOs). She holds a Masters in Economics (Distinction Pass) from the University of Colombo, Sri Lanka. She is partly qualified in Charted Institute of Management (CIMA-UK). Talk with her at dilani@ips.lk.